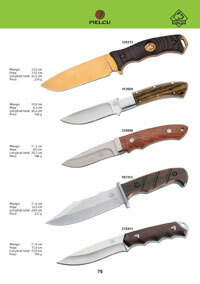 Knives for hunting and field zebra wood handle, sandalwood, ebony or olive and AISI 420 steel blade. 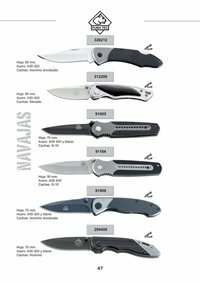 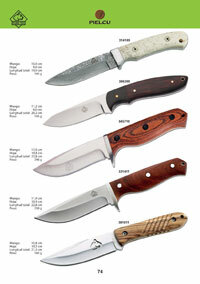 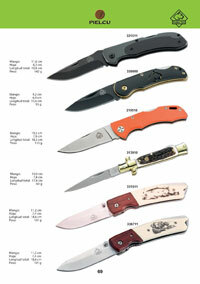 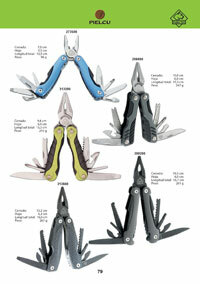 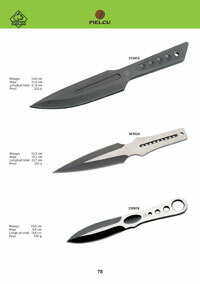 Pocket knives with handle G-10 or aluminum and AISI 420 steel blade. 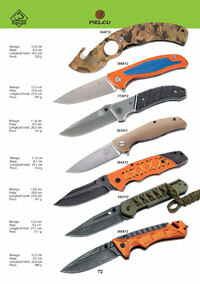 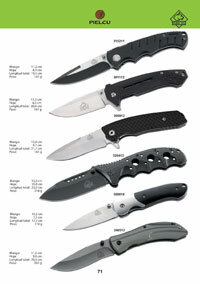 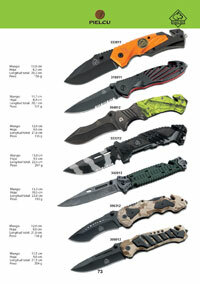 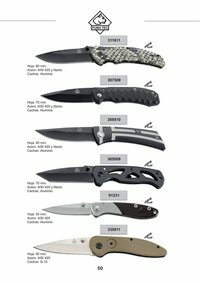 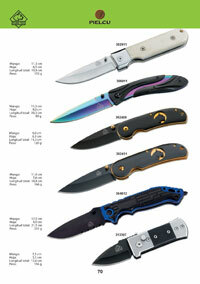 Tactical knives G-10 handle, aluminum or nickel coated sheet steel and AISI 420. 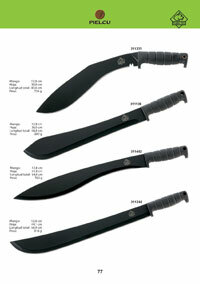 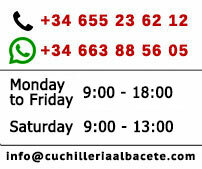 Tactical knives with wooden handle slip, aluminum and yours, ebony and nickel silver and steel or AISI 420 steel blade. 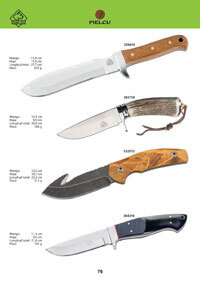 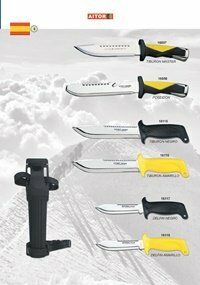 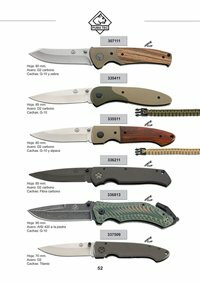 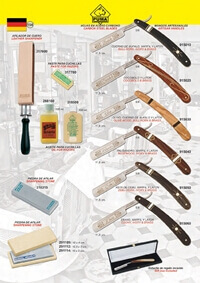 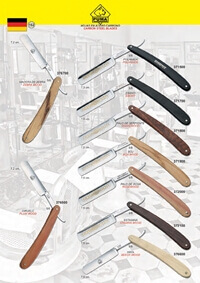 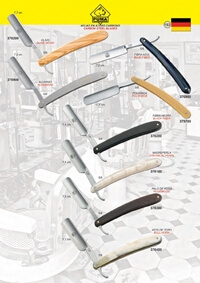 Tactical knives with handle of sandalwood and steel, G-10 or lacquered aluminum, with alpaca or bicolor and AISI 420 steel blade. 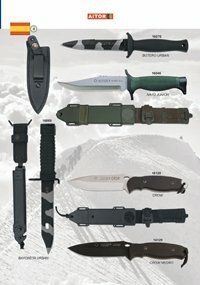 Tactical knives aluminum handle, sandalwood, steel and Hart, G-10 camo or aluminum lacquered steel sheet AISI 420 or damascene.